Paul Mederos teaches beginners session on Tuesdays from 8 to 9pm. 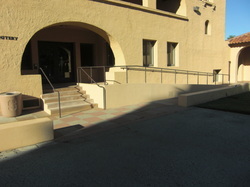 These usually start earlier than specified and end later, they are hosted at either a downtown Palo Alto location or at stanford. Paul's sessions are focused on proper techniques, fundamental movement, and parkour philosophy. Danny Andreev teaches beginners sessions on Thursdays from 7 to 9pm. They are almost always located at the "wooden garage" (the parking structure behind the California Pizza Kitchen in downtown Palo Alto. These sessions are more loose. Beginners are free to either follow a set warm up, training, conditioning, and cool down regiment or explore different parkour movements and have the more advanced members help them out. All Beginners sessions are posted on the Facebook group as events. 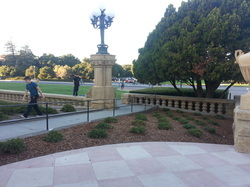 Right in front of Oval Park, this is the usual meeting spot for Stanford training sessions. 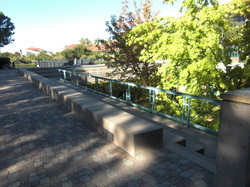 Next to the Stanford library and main fountain, its another nice place to work with rails. This place is just a bit to the north of the meeting spot. 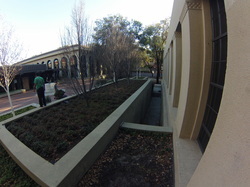 Its a great place to practice flow-work, and technical movements. 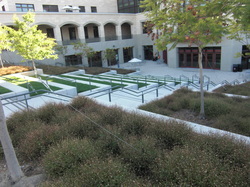 The steps at the engineering quad are an ideal place to practice strides. 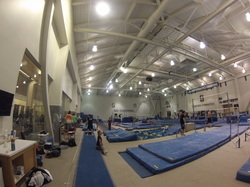 The Gymnastics Gym at Ford center offers open gym from 9-10pm on Tuesdays and Thursdays. 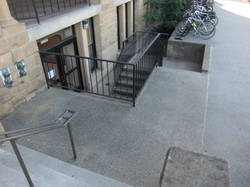 They do charge a one-time registration fee of 30$ and a 5$ fee per visit. This is a Stanford facility so we must abide by their rules. Hoover tower. another possible meeting spot with a bunch of awesome jumps.